It was a big primary night for the incumbents in Connecticut's larger cities and towns. In Hartford, campaign staff for Mayor Pedro Segarra declared a landslide victory over challenger Edwin Vargas, a former teachers union leader. Segarra won about two-thirds of the vote, or a margin of 3 to 1. 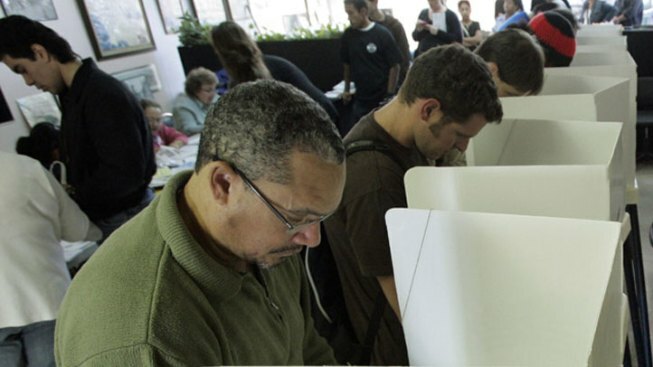 About 17 percent of the city's Democratic voters went to the polls. In New Haven, Mayor John DeStefano Jr. received about 40 percent of the vote, beating out three challengers. Jeffrey Kerekes came in second place, with about 25 percent of the votes. Clifton Graves and Anthony Dawson came in third and fourth. In neighboring West Haven, incumbent Mayor John M. Picard won his city's Democratic party, beating his challenger Nancy Rossi with a vote tally of 2,774 to 1,134. In the New London, Daryl Justin Finizio appears to have won the Democratic nomination over City Councilor Michael Buscetto III. Finizio will go on to face City Councilor Rob Pero and three other petitioning candidates in November for a race to become the city’s first elected mayor in about nine decades. In Middletown, Dan Drew received 1,936 votes to beat challenger Christine Bourne in a Democratic party primary. He will challenge Mayor Sebastian Giuliano in the November election. In New Britain, State Rep. Timothy O’Brien, 24th District, defeated Assistant Majority Leader Paul Catanzaro, 1,776 to 752 in the city's first Democratic primary for mayor since 1995.